Heat oven to 350°F. Generously spray the inside of 4 empty 18 oz. 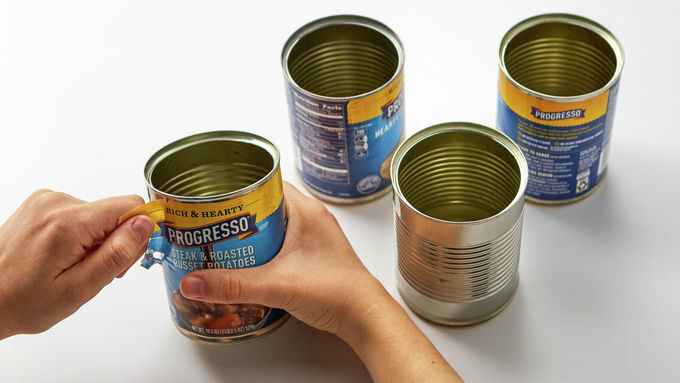 Progresso™ soup cans (wrappers removed) with cooking spray and place on a baking sheet. 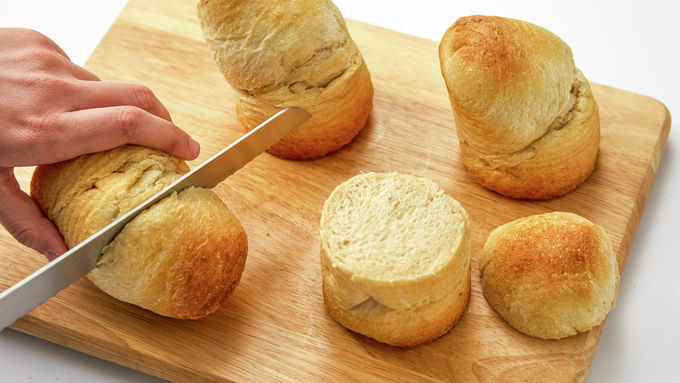 Cut each loaf of refrigerated French bread in half (so you have 4 pieces total). Place one half upright inside each soup can. Bake 20 to 25 minutes until bread is baked through and dark golden brown on top. 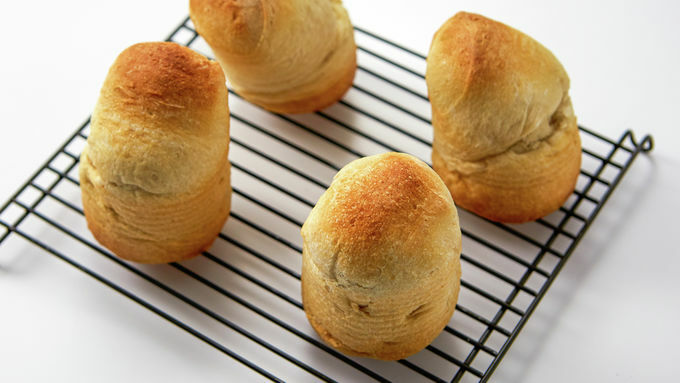 Remove bread from cans; if it seems doughy, return to baking sheet (out of cans) and bake another 5 minutes. Cool bread completely on a cooling rack. Slice the domed top off each piece of bread. Use your fingers to remove the middle of the bread. Use your fingers to push the bread to the edges so you end up with a hollow cavity (use extra bread to dip in the soup from the soup cans). Mix avocado and salt and pepper; spread along the inside bottom and sides of each bread cavity. 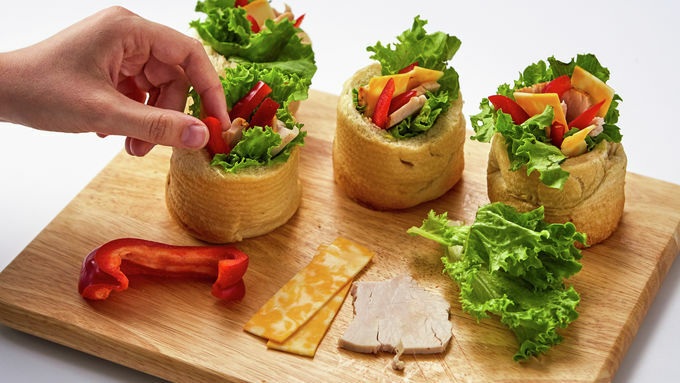 Fill with cheese, turkey, lettuce and red bell pepper slices. Serve! Remember that one time I made sandwiches using soup cans and it was awesome? Of course you don’t, because until now, I’d never done it. But now that I have indeed made Soup Can Sandwiches (inspired by Favorite Family Recipes ), I am tempted to never make sandwiches another way again. And once you see how easy they are to make, you may not either! Aren’t they just the cutest and most eater-friendly way to make sammies? I think they’re great for parties, picnics, sack lunches or because I just want a cute sandwich. 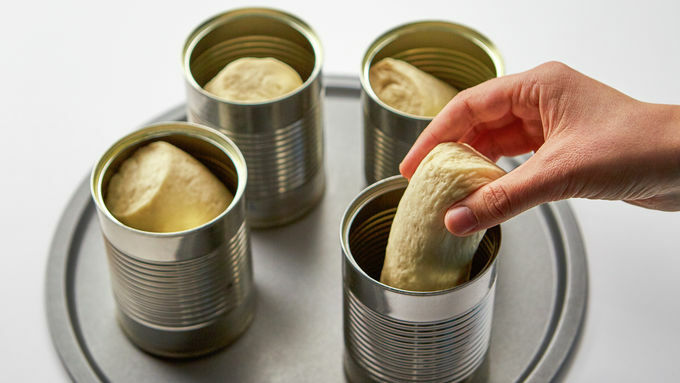 All you need are some empty soup cans (these large Progresso soup cans work fabulously), refrigerated bread dough and sandwich fixins and you’re ready to roll! Once the bread is baked and cooled, slice off the tops and hollow out the insides. Use that extra bread to dip into the soup from the Progresso soup cans, yo! That’s called multitasking. Get your sammie fixins ready. I’ve got mashed avocado, cheese, turkey, lettuce and red bell pepper slices for mine, but feel free to get creative and add whatever you love to eat. 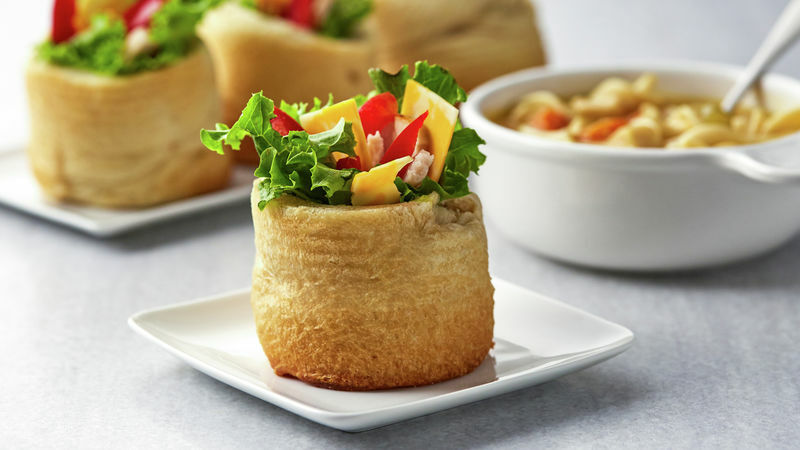 Fill the bread cavities with the ingredients, and there you go – soup can sandwiches. Done and done. I mean, can a sandwich look any cuter? I THINK NOT.